Iranian officials announced Monday that Iran’s central bank has repatriated 13 tons of gold as part of a sanctions relief package provided by the U.S. and other Western powers. The gold was transferred from South Africa, where it had been held while Iran was under tough sanctions meant to squelch its nuclear program. The sanctions relief package will provide Iran with nearly $12 billion in unfrozen cash assets by the time nuclear talks conclude next week. “A sum of 13 tons of gold that had been purchased before and was deposited in South Africa in the past two years and could not be transferred to Iran due to the sanctions … was delivered to the Central Bank of Iran’s treasury last night,” Central Bank of Iran Governor Valiollah Seif said at a press conference. Seif added that the Iranian foreign ministry and the CBI had been trying to release the gold for some time, but couldn’t due to circumstances of the sanctions. After hard work by Iranian negotiators during the recent nuclear talks in Vienna, Iran finally got its gold back. 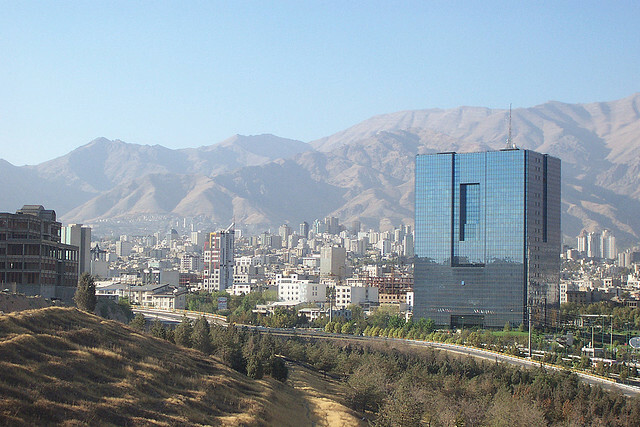 The repatriation was one of Iran’s major goals of the nuclear talks. Why do so many central banks want their gold back? Although this case is unique in that Iran repatriated its gold as a result of harsh sanctions being eased, recently many other central banks have also been trying to get their gold back on home soil. Germany repatriated 120 tons of gold from Paris and New York in 2014, for example. The Austrian National Bank announced in late May it plans to repatriate £3.5 billion of its gold from Britain, which makes up 80% of its total gold reserves. Poland, Venezuela, Ecuador, Mexico, the Netherlands, Switzerland, and France have also repatriated gold or announced plans to do so. What is behind this trend? Aside from the need for diversification, in Europe in particular the public seems to put significant trust in gold as a financial safety net. In a statement regarding the Netherlands’ repatriation, the country’s central bank said in a statement: “With this adjustment the Dutch Central Bank joins other banks that are keeping a larger share of their gold supply in their own country. In addition to a more balanced division of the gold reserves … this may also contribute to a positive confidence effect with the public.” Switzerland even held a popular vote in November 2014 on whether to require its central bank to back 20% of its reserves with gold and repatriate all of its gold held with the Federal Reserve Bank of New York. Although it did not pass, the referendum being held exhibited that gold is on many Europeans’ minds. The European Central Bank also began a quantitative easing (money printing) program early this year, which may be prompting central banks in the EU to stock up on gold as a hedge against inflation. Apparently, central banks don’t just want gold – they want it on their own soil. If most of the world’s central banks see the importance of owning gold, why shouldn’t you? American Bullion can help you own gold, and it’s easy. Call us today at 1-800-326-9598 to speak with a precious metals specialist about adding gold to your IRA or 401(k) or buying coins and bars for direct delivery.